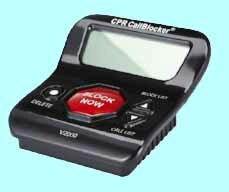 The CPR Call Blocker V5000 makes it easy for you to block calls if you have caller ID from your landline provider. Caller ID is required for the product to work! The V5000 is compatible with all major USA landline providers, including AT&T, Verizon, Ooma, Charter, Comcast, Century Link, Frontier, Fairpoint, Windstream, Hawaiian Telcom, Cincinnati Bell etc. The V5000 is shown in photo 1. The V5000 is pre-programmed with 5000 known robocall numbers and you can personally block 1500 more using your phone’s key pad, entering codes on your telephone, and/or pressing the red button on the V5000. Even before I added any numbers to the call blocker, the number of unwanted calls was greatly reduced. My installation was done at the Optimum router. I placed the line wire from the optimum router into the line port of the V5000 and the wire that was originally plugged into the Optimum router into the Tel port of the V5000. See photo 2 again. The telephone wire that was originally plugged into the Optimum router runs all the way to a wall phone jack in the house and it thereby connects all the house phones to the V5000. With this installation all the phones worked properly and pressing the number sign (#) and the number two (2) on any phone number pad in my house blocked future calls from that number. Before doing this installation I talked to customer support and was told that what I proposed might work. Spoofed phone numbered calls can’t be stopped because each time the call comes in from a different phone number. When a call comes in, your telephone’s caller ID indicates a call is coming but your phones remain silent. It takes approximately two rings for the V5000 to determine if the number is a number you blocked before it hangs up on the incoming call. If the call is not on the call block list your phones will start to ring. The people who normally call you will need to know that it will take you, at minimum, 3 phone rings before you are aware a call is coming in. Pre-programmed numbers are instantly blocked and don’t even show up on your caller ID. Photo 2 - Back of V5000 - My Optimum wire is in the line port and my wall phone jack wire is in the Tel port. 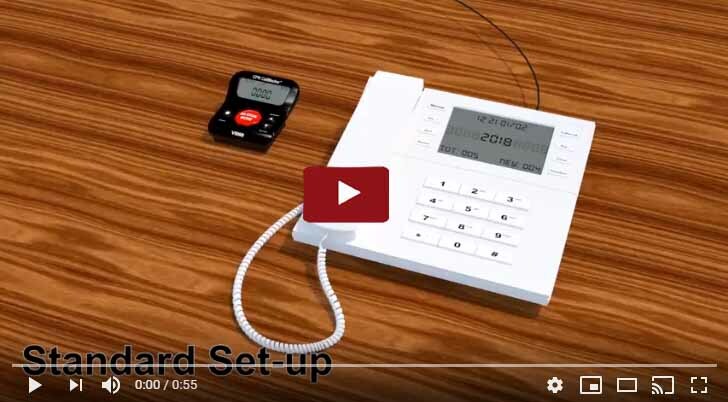 Video 1 - This YouTube video shows standard setup. My installation was not at a phone but at the Optimum router. shows the function of the different buttons. Hammacher Schlemmer - provided the loaner call blocker unit to me to test and review. They are one of many places, including the company website, where you can purchase it. Our policy it to not recommend a purchase location or include advertisements with our reviews.